Product: 2971 (now redesigned model 880435) Lifetime Tables - 60 in. 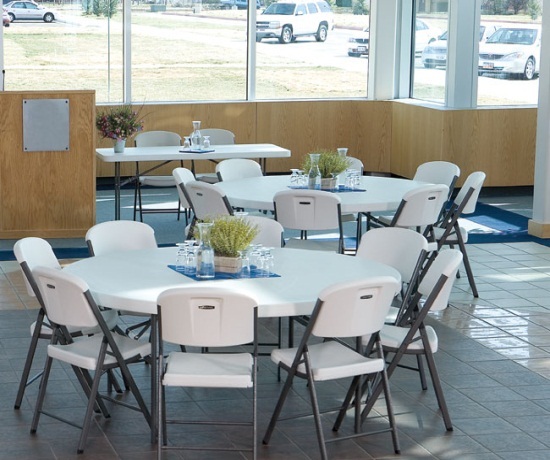 Round Folding Tables with a 60 in. Round Almond Molded Top, 1.25" Round Bronze Hammer Tone Folding Frame. 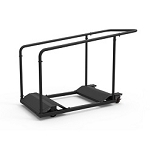 If you only need one check out model 22971 lifetime folding tables. Competitive Edge Products, Inc. is an authorized reseller of Lifetime Products manufactured in Clearfield Utah 84016. 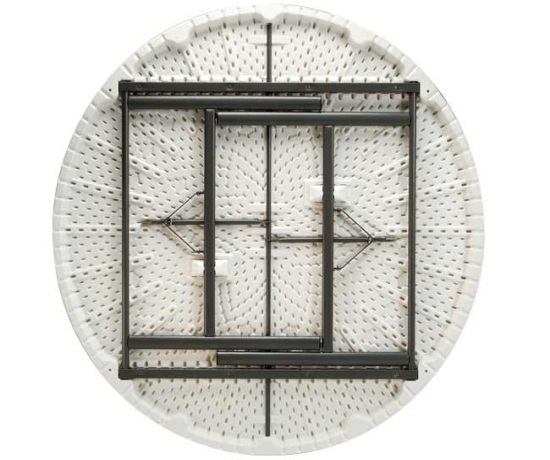 60 inch diameter round folding tables seat about 8 people per table comfortably. This seating capacity holds true most of the time when the table is being used as a banquet table for dinners or activities where little space is required. Where people need more space for things like art activities, the seating capacity will also drop. Great product, quick shipping, highly recommended! Thank you great eBay seller, fast shipping. A++ Seller. Product quality was high. Great product and good price thanks!!! Bought 15 tables! Great quality, fast shipping, good customer service, Thanks! View our other Life time furniture round card tables, round tables, folding tables, folding chairs and table cart. This product has a 30-day money back guarantee: Simply hang on to the original packaging and contact us within 30 days of receipt if you are not satisfied with this product. We will have the item picked up at our cost and refund you in full. We are that confident you will love this product! I found your site by Googling for Lifetime Tables. 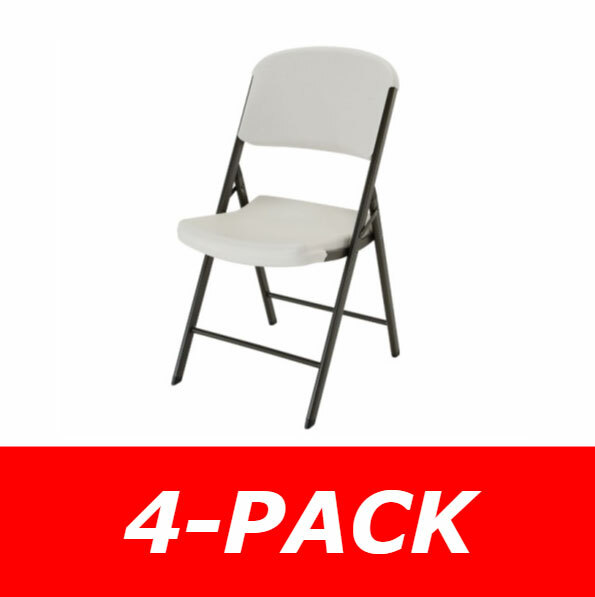 In searching for furniture for a new church building, I found your site by Googling for Lifetime Tables. Dealing with your company was easy, very satisfactory, and a pleasure. Q: How many people can this table seat? A: This table can seat eight adults comfortably. A: This table can seat up to eight adults comfortably. 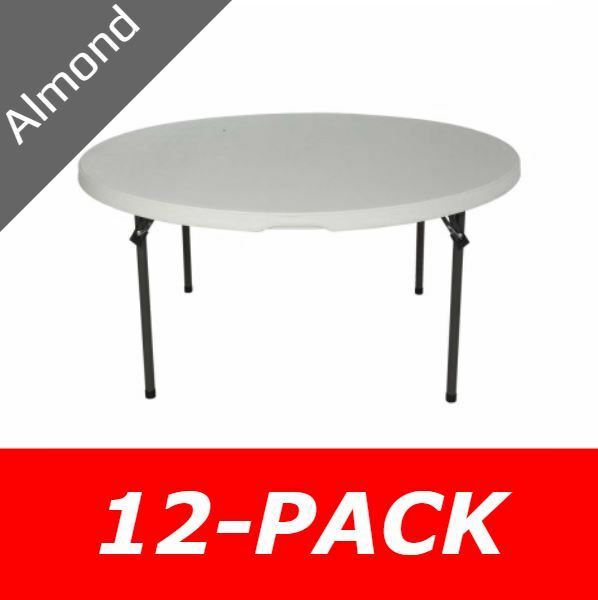 Shipping: Orders for the 2971 Lifetime 5 Foot Round Almond Colored Folding Table 12 Table Package generally leave the warehouse the next business day. Dimensions: 61" x 61" x 33"
In Stock - Usually ships next business day.